It’s almost a few decades since e-commerce was introduced in the industry and it continues to change and make the shopping experience of the customers more secure and convenient. It has considerably improved from the day of its creation and still continues to undergo many changes trying to meet the customers’ needs and requirements. Among the foremost innovations was the introduction of recommendation engines, which was revolutionary for the e-commerce industry. A recommendation engine or a recommender system is a software developed to analyze available data and make suggestions to website users based on their interests, needs and wants. The revolution of recommender systems was followed by launching the blockchain technology, which currently makes rapid growth in the industry. It has been changing the whole e-commerce business for the better. Moreover, it continues to improve and innovate in a number of industries such as banking, healthcare, legal industry, government, security, real estate, education and so on, so forth. A recent World Economic Forum report predicts that by 2025 10% of global GDP will be generated on blockchains. The most evident example of this is Mastercard, that has already launched its own blockchain network. 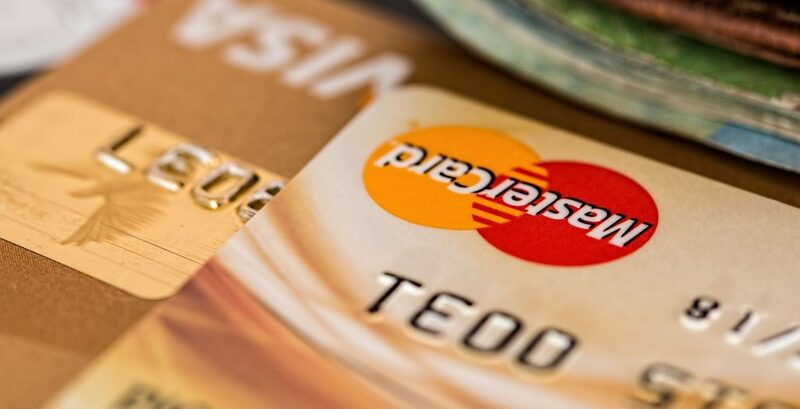 Due to the use of the blockchain network, Mastercard has enabled its partner banks and merchants making cross-border payments that are secure and fast. Their blockchain network is also used to clear credit card transactions, to eliminate administration tasks by smart contract rules, leading to speed transaction settlement. According to the VP of Mastercard Labs, Ken Moore, Blockchain technology is a solution that is secure and safe, easy to scale and auditable. With the use of blockchain, online business owners can avoid boring heavy-paper processes, also they will avoid third-party interaction. The latter will lead to lower costs thus becoming beneficial for your business. Another viral change that blockchain brings to the whole e-commerce industry is the security and transparency. The sides find trust and credibility in each other since they share all necessary documents without secrets. In spite of the fact that not all e-commerce websites use blockchain, we step by step go to it since it is a matter of competition and not only. Now, as we’ve gone so deep, maybe it’s time to get the definition of a blockchain? Generally, a blockchain is a paradigm-shifting technology, a digital record of a group of transactions, which are called blocks and all of them are backed by a cryptographic value. All blocks are connected with each other by links and each of them contains data about transactions. Actually, it’s impossible to modify the blocks after creating, therefore all sides may be certain that the data stays valid long enough. The integrity and security of the blockchain are also guaranteed by proofs of work. Proofs of work are pieces of data created to verify the contents of a block in a blockchain. They are generated for particularly each block based on their contents. Proofs of work are almost impossible to modify or create, hence they guarantee that the block is not duplicated. Generally, the idea of blockchain dates back to 1991. Blockchains were created by the Bitcoin creator, Satoshi Nakamoto, as the currency’s ledger. It enables Bitcoin to stay decentralized when it checks the honesty and integrity of transactions. Later, the Blockchain technology was adapted to collect and store information about events, other financial transactions, medical records, voting records, etc. In order to completely understand what the impact of blockchain on the e-commerce industry is, it is required to know the advantages of its technology first. In case your organization copes with items being traded via a complex supply chain, then you will imagine how difficult it is to trace a product back to its origin. Whereas, if the exchanges of goods are recorded on a blockchain, as a result, you will have an audit trail that shows the origin of the asset, and every detail related to its journey, including stops. And finally, due to this historical transaction data, you can even prevent fraud by verifying the authenticity of assets. It’s not a secret, that traditional, paper-heavy processes for any e-commerce industry are time-consuming. Moreover, they are prone to human error and third-party interaction is a must in this case. However, the transaction process can become faster and more productive in case it is streamlined and automated with blockchain. As far as everybody has access to shared information, cooperation becomes more trustworthy and without the necessity of numerous intermediaries. Due to the usage of blockchain technology, transaction histories of online business and not only become more transparent. As already mentioned, the blockchain combines all network participants’ documentation in one place. Meanwhile, that documentation is possible to update only after a consensus, that is to say, everyone should agree to it. Similarly, changing one transaction record requires altering all subsequent records which lead to the collision of the whole network. Thus, we can say that blockchain data is more consistent, transparent and accurate compared to paper-heavy processes. Furthermore, it’s available to all permitted members. In contrast to other record-keeping systems, the security of blockchain is provided in several ways. Firstly, all participants should agree upon the transactions before recording them. After being approved, the transaction is encrypted and linked to the previous transaction. Secondly, instead of storing the information on a single server, it is stored in a chain of computers. In that way, they complicate the hacking process and it becomes difficult for hackers to compromise the transaction data. In industries, like healthcare, financial services, the government where sensitive data protection is of crucial importance, blockchain will be able to prevent fraud and unauthorized activity and change the way the critical information is shared. The majority of business owners put reducing costs as one of their main priorities. However, there isn’t such a need with blockchain and no third parties or middlemen are required for guarantees. The case is that it doesn’t matter whether your partner is trustworthy or not, whether you can rely on them or not. The only condition is that you trust the data on the blockchain. In addition, you are not obliged to review a huge pile of documents to complete a trade, since everybody who is permitted has access to an immutable, single version of documents. With so many advantages blockchain will be a real blessing for any e-commerce business, so let’s see how it can redefine it. How Blockchains will redefine e-commerce? Taking into account the advantages blockchain has over other record-keeping systems, it’s predictable that there are numerous ways it can redefine e-commerce. Usually, e-commerce websites suggest different payment methods, such as cards, mobile wallets, and COD. But, in case the mode of payment is cryptocurrency, then it certainly has advantages over other payment methods. Cryptocurrency is also cheaper, faster and reliable. The customers shouldn’t be afraid of the altered and misused transaction in contrast to card payments, also, in this case, the third-party mediation is eliminated. Cryptocurrencies were the first implementation of blockchain technology. And Bitcoin was the leading one in popularity and global adoption. Nowadays they are used as alternatives to traditional payment methods. Customers can pay with Bitcoin, as they do with PayPal, Stripe or other payment means. As a result, sending or receiving money with cryptocurrency is as simple as sharing a QR code. As the Ethereum-based payment processing company, Monetha states, traditional processing systems can involve almost 16 various steps with fees differing from 2 to 6%. And taking into account the parties involved, from payment processors to credit card vendors, the simplification of the transaction process will be beneficial both for customers and merchants. On the other hand, blockchain transaction occurs on a single network, reducing and even eliminating the necessity of intermediaries. The transaction speeds depend only on the speed by which a block is generated and the network speed, of course. Another advantage of cryptocurrency over other payment processing methods is that they don’t expose personal information. Credit and debit cards were used in almost 100 billion transactions for a value of $5.72 trillion dollars in 2015. And 31.8 million US customers became victims of credit card fraud one year after that. Bitcoin or other cryptocurrencies are like cash and they don’t require any sensitive data, like credit card numbers, from the customer. In reality, the customers authorize transfers that are done from their wallet to that of the recipient. The only differentiating data related to each user’s wallet is a randomly created unique identifier. In short, blockchains provide speed, integrity, and privacy. It enables merchants and customers to make secure transactions avoiding fraud or other unpleasant experiences. In every product-related business, one of the main issues is inventory control. Blockchain also helps the e-commerce industry with inventory management. If you add smart contracts into the blockchain, it will manage your inventory. After reaching the pre-defined limit of items, they can be ordered automatically from the retailer. As a result, there will be neither excess items nor out of stock ones. Blockchain makes it easier to track the purchase history of the customer and the scorers earned for loyalty. The discount rewarding and point score might be automatically set via smart contracts if the purchase history and the earned and redeemed points are stored in the ledger of a blockchain. Summarising, we should say that the blockchain-powered environment is a fertile ground for the further development of e-commerce experience. Due to the cryptocurrencies, the shopping experience online will become more secure, transparent and the payment process is stress-free, faster and cheaper.